I got my first credit card when I was in college and I used it for most of my entertainment(see alcohol) and dining out purchases. Although I was approved for a high limit, fortunately I never carried a balance. After four years, I realized I had accumulated a ton of points. I quickly spent these on a barbecue set, a bath robe, etc. At the time, I didn’t know where most of the points came from but it turns out that I had received 25,000 Citi thankyou points for signing up for the credit card. Just 5 years ago, it seems like every credit card company on earth was offering low intro APR or 50,000 bonus points for signing up and hitting a small spending threshold. Although these offers aren’t as common as they once were, they are still out there. I generally won’t consider any card unless it offers a sign up bonus of $400 cash back, 50,000 points or 75,000 airline miles. Those are my general guidelines and some offers will give you more, some less. Most cards will waive the annual fee for the first year but for those that don’t just subtract the annual fee from the bonus to see if it’s still worth it. The best thing about these benefits is they are tax free, for now. Since they are considered a sign-up bonus you will not have to pay taxes on the money you receive. In fact, I don’t know if they’ll ever be able to efficiently tax credit card points since they can be used at different redemption rates. This particular card will give you 50,000 bonus points after you spend $1,000 in the first 3 months. These bonus points can be redeemed for up to $800 in Wanna Get Away travel with Southwest. Although there is a $99 annual fee that is not waived, you will get 6,000 bonus points on your one year anniversary(worth $100 in airfare) that effectively covers the fee. Although the annual fee is a bummer, I still think this is a great deal. They’ve had these offers in various forms for a couple years now and I’ve already applied and been accepted for the plus card, premier card and plus business card and gotten $2,400 in southwest travel funds. Don’t sign up for more than one card with the same company(ie Amex) within 2-3 months. Make sure your utilization is low at the time you apply for credit and you haven’t had too many recent inquiries. If you want to apply for multiple cards with two different companies do it on the same day. Even though you’ll receive a hard inquiry from both companies, it takes a few weeks for them to report it to the credit bureaus. There are lots of creative ways to meet the spending requirements, but I generally won’t use a card after I’ve received the bonus. If the card has no annual fee, keep it around to increase the average age and number of accounts but be sure to make at least one small charge every 6 months. Cards can be automatically closed if there is no activity over a long period of time. If there is an annual fee, call in near the anniversary and see if they’ll waive the fee for you. Make sure you never cancel the card within a few months of opening it, this is usually a red flag on future applications. I have a lot of cards so I keep a simple spreadsheet and set calendar reminders of when I need to cancel cards. You can redeem the bonus points for airfare, cash or gift cards. Most of the reward networks offer periodic sales on gift cards, so I’ll usually wait until there’s a sale and then I buy in bulk. Alternatively, you can sell the gift cards and get cash. Although a good redemption rate is 100 points to $1, I’ve gotten as high as 100 points to $2 when redeeming for airfare. So that’s it. Follow these steps and you’ll be on your way to receiving great credit card signup bonuses. If you already have a card or two that you are able to manage responsibly, taking on a couple more should be no problem. Obviously, you should not go down this road if you’re unable to resist the temptation of using all that open credit. 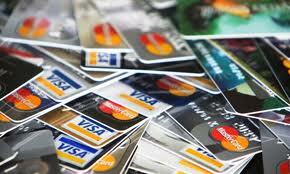 I think of my credit cards more like debit cards or charge cards, which have to be paid off in full every month. This isn’t a scam and you shouldn’t feel guilty about opening a card, receiving a bonus and closing the card. Credit card companies are businesses, and they’re free to set whatever terms they like. It’s up to you to take advantage of them. Of course if this seems distasteful to you, you don’t have to participate. However, if you can manage your credit responsibly, credit card sign up bonuses can provide you with a couple thousand dollars in tax free income every year. Readers, have you been tempted to go for any of these sign up bonuses? Or does it sound like too much work? It sounds like you’ve got a good system setup Harry. When I first started reading this post I was thinking how bad this could be for your credit. I like how you take precautions to keep your credit score high. The trick of opening more than one card on the same day is a good way to get around some of it. The main thing is that people shouldn’t overspend just to reach the minimum spending requirements. That’s when this strategy could become disastrous. Yep, this definitely is not for everyone, but a lot of people have been asking me how I do it, so I thought I’d share. Most people are usually worried about their credit but as long as you don’t overdo it you should be fine. I have some good tips to help you hit the spending requirements too but I couldn’t give it all away in one post! It’s awesome that you did share this strategy. Considering how much bonus money you’ve racked up, it’s obviously working well for you. It makes me jealous of the sweet US credit card promotions. Yea I don’t mind sharing these because I know most people probably won’t do it. But for the few who do, they will make a ton of tax free money. I have received $900 in sign up bonuses this year! Can’t complain about free Monet. I am very responsible and conscious of all of the rules to make sure I don’t get burned. Great news! As long as you’re responsible you’ll be fine. I’ve gotten pretty selective in which offers I choose now so I’m making even more. Sounds like a good system however I would caution many on this. I have known far too many people who take advantage of these offers and then get themselves into debt they can’t pay off. They get too tempted to overcharge once they have the credit card. It is a sad fact that people have to babied but it seems to be the way many people are now. They just don’t think. People do need to reap what they sow though. I signed up for a great cash back card for a $60 opening bonus plus 5% cash back for the first six months. I did not do this for the bonuses, it is the best no annual fee rewards card in Canada. The bonus is just that, a bonus. The site I signed up for the card through hasn’t paid my bonus yet though so I am still getting that sorted out. I recently went on a spree of credit card rewards grabbing, and then a few days later decided it was time to refinance my house. This made things a bit complicated because the bank was a little curious about the 8-10 inquiries on my report. It didn’t hurt my credit score much but the bank was a little cautious and I had to fill out some extra paperwork. All in all though I’m getting a lot of points / cash from these signup bonuses and it was worth the hassel, especially because as a business owner, I signed up for the personal card and the business card at the same time on all the really great bonus cards like chase sapphire preferred, so I doubled my bonuses!